Spanish Fork city is host to number of large scale events throughout the year. Thus this is one city buzzing with environment and activity which makes sure that it is one of the best places to invest in Utah County. 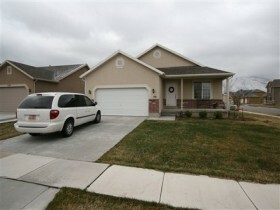 Paul Teasdale of Team Teasdale Realty has been selling homes full time in Spanish Fork Utah since 1995. Paul will help you find a home in Spanish Fork. Paul is familiar with the schools, community and neighborhoods. Paul lives in Mapleton Utah and most of his team lives in Spanish Fork. Hire a local Realtor to help you buy or sell a Spanish Fork Utah Listing. Remarks: SEE 30+ PHOTOS *CLICK PROPERTY TOUR* BEDROOM IN BASEMENT, FINISHED AND 5TH BEDROOM WALLS ARE SHEETROCKED. IMMACULATE HOME THAT IS EASY TO SHOW.